Viera Insurance Agency, Inc.: Flood Insurance, FEMA or Private? Flood Insurance, FEMA or Private? Flood Insurance has gotten a lot of recent press, with FEMA increasing rates for its National Flood Insurance Program (NFIP). For many years, the NFIP was the only source for Flood Insurance, but now that subsidies and inadequate rates have put the NFIP $24 billion in debt, the industry is starting to look elsewhere for Flood coverage options. 1) Homeowners Endorsement: Some home insurers, such as American Strategic Insurance and Homeowners Choice now have flood coverage available as an endorsement (add-on) to your home policy. When available, the rate is generally lower than an NFIP policy for the same coverage. 2) Stand-Alone Private Flood: These are flood insurance policies underwritten directly by insurers, not by FEMA. Companies such as Lloyd's of London, Lexington, Advanced, Ace, Gridiron and Western World offer flood insurance, and many others, such as Bankers Insurance Group are in preliminary discussions. Replacement Cost on Contents: With an NFIP policy, you only receive the actual cash (depreciated) value for your flood-damaged contents. Replacement Cost for the Building on Secondary & Investment Homes: The NFIP only insures the home for replacement cost if it's your primary residence. Additional Living Expenses: This provides money for you to stay elsewhere if your flood-damaged home is uninhabitable. No Non-Primary Residence Surcharge: In addition to the other fees charged by the NFIP, there is a $250 surcharge per year for non-primary residences. (As noted above, these homes are also insured by the NFIP at actual cash value). Private flood policies have no such surcharge. 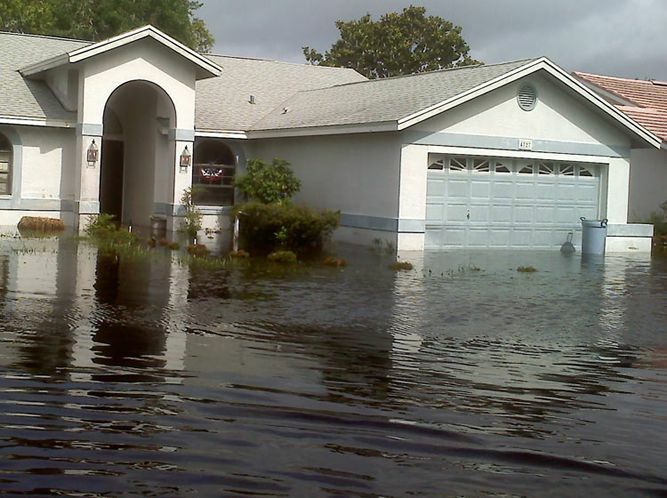 Call us at 321-259-2228 to ask about private flood insurance for your home. Remember, where it rains, it can flood. With the help of Flood Elevation Certificate, we can reduce flood insurance costs, improve coverage, increase asset values.